​WE ARE FACED WITH AN IMPENDING CALAMITY that threatens to bankrupt the planetary ecosystem and with it much of the manmade world. Rirdan submits a plan that truly goes the distance: a highly detailed, planetary-wide blueprint that lays out a new course for our technological and industrial engines. It calls for sweeping adjustments in the way every person thinks and lives. The plan is grounded in over five hundred peer-reviewed articles, communication with scores of other top experts, advanced computations, and simulations. Rirdan offers immediately employable designs that lay down new paths for our economy, technology, industry, and politics. The plan includes renewables that in tandem can provide 24/7 power for the entire electrical grid; a radically altered economy, based on regenerative management of existing resources; and the use of rotational, intensive grazing of livestock as part of the effort to rewild nature. 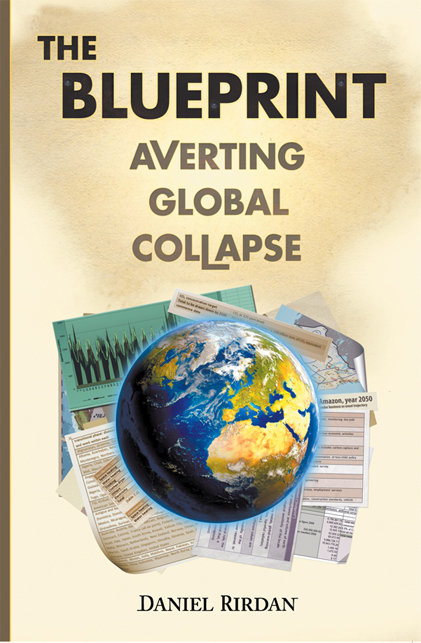 Furthermore, the book illustrates why a carbon neutral economy is inadequate at this late stage, and introduces a practical plan to capture hundreds of billions of tons of carbon from the air. The Blueprint is a call to arms, an argument for remaking the world and reclaiming the future for our children.